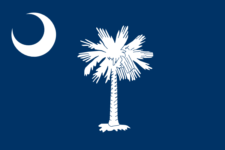 You must file a South Carolina tax return if: You were required to file a federal income tax return which included income taxable by South Carolina Residents of SC are taxed on their entire income, regardless of where earned, unless specifically exempted by law. You had SC income tax withheld from your wages. Some resident taxpayers age 65 or older may not be required to file an SC Individual Income. Single/Head of Household/Married filing Separately. Is your gross income greater than the federal (gross income filing requirement amount plus $15,000). Married filing Jointly (Both 65 or Older) your gross income greater than the federal gross income filing requirement plus $30,000. You have SC income tax withheld from your wages. Never forget to file SC SC1040 again.